Make meal time a joy with Napoleon Grill Accessories. Grilling a healthy meal is even easier with the Napoleon 4-Piece Healthy Choice Starter Kit. 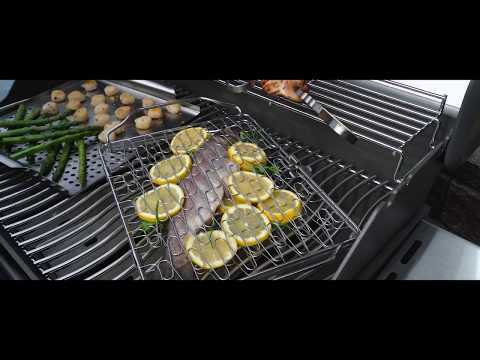 The dual-sided stainless steel grill topper features one perforated side for grilling veggies, while the flat side is ideal for searing delicate foods like fish and scallops. The stainless steel skewers are perfect for creating custom kebabs with any vegetables or meat you desire. The stainless steel grill basket securely holds food inside for easy flipping. All the components in the starter kit are made from stainless steel and they are dishwasher safe for easy cleaning. Make it easy and fun to create delicious, healthy meals with the Napoleon Healthy Choice Starter Kit.